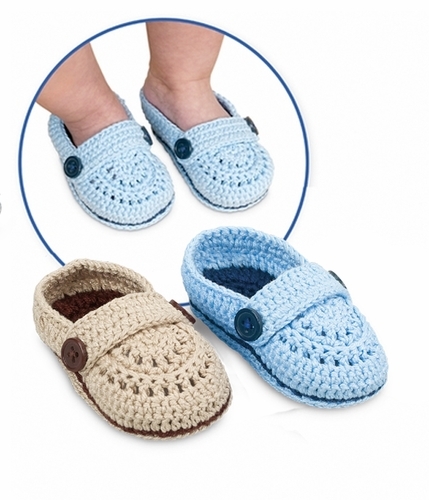 Hand crocheted baby mocs are a must have for little boys! Top strap buttons on each side giving a comfort fit. Booties come in a clear gift box.